This meal took place right after my family and I ate at Plan Check. So………….I thought we were gonna go light but knowing us (our eyes are hungrier than our tummies) I should’ve known better. Huckleberry Bakery & Cafe is located in Santa Monica. The space was actually quite nice and the atmosphere was very causal. 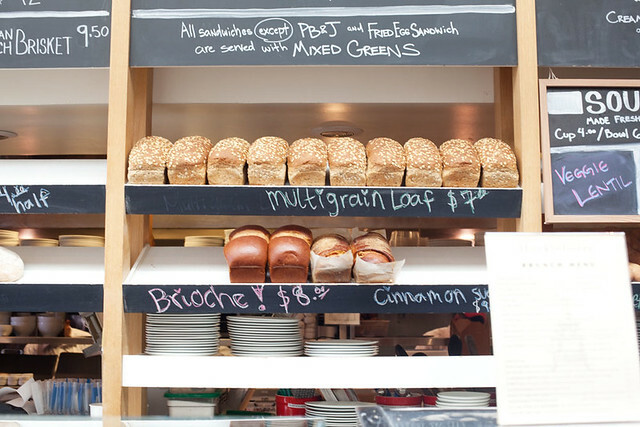 The counter was lined with baked goods like croissants, chocolate croissants, cakes, tarts…etc and behind the counter were beautiful looking breads all sitting on shelves. The thing to do here is get in line. People behind the counter will take your order and after you pay they will give you a number. They’re not big on people sitting down first since the tables are for paid customers. But there was a sort of hostess, after you pay, to find you a table. I wasn’t sure what my sister had ordered but I asked for a chocolate croissant. Eventually we were given a table outside on the street. Once the food started coming, I regret eating way too much just 30mins before that. 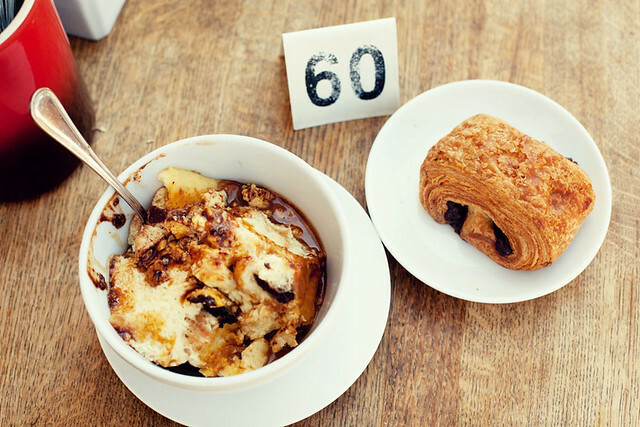 Chocolate bread pudding and my chocolate croissant. The chocolate croissant looked and tasted like any other chocolate croissant I have ever had. Not saying that it was average or bad but just…..normal. As for the bread pudding..ohhh it was slightly warm and deeply satisfying. It was still very good days later. 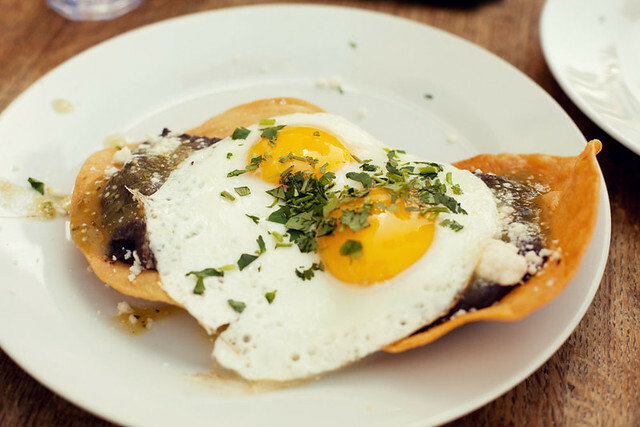 Eggs and beans and cheese on fried tortillas. This was pretty good. Again nothing super special but a solid dish. I ended up eating most of it because I just hate leaving food untouched.